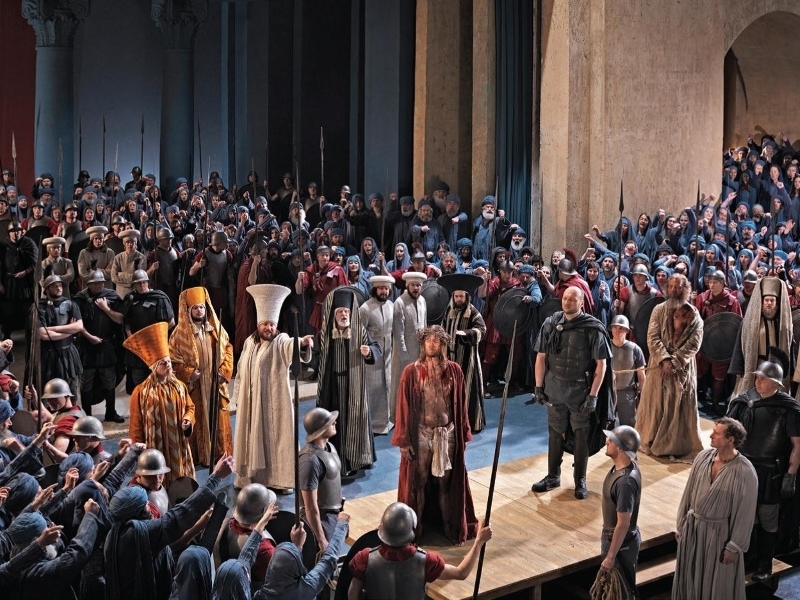 DC Thomson Travel invite you to The Oberammergau Passion Play 2020 is a theatrical event unlike any other – a once-a-decade labour of love produced and performed by 1500 villagers, and presented on a vast open-air stage surrounded by a covered 5000-seat auditorium. This astonishing, five-hour re-enactment of the last week of the life of Jesus draws visitors from around the world enchanted by the story and the idea of a community working together to fulfil a promise made almost four centuries ago. Single supplements apply. Subject to availability. Click here for more details. Our next excursion takes us to Salzburg, birthplace of Mozart. Beneath the imposing Hohensalzburg castle and beside the Salzach River, Salzburg is a treasure-trove of onion-domed churches, elegant squares and cobbled thoroughfares. A guided tour will introduce the city’s history and highlights, after which you’ll have time to explore at your own pace. Don’t miss the Castle, which towers 400 feet above the city, and offers predictably wonderful views, or the exquisite Dom cathedral and its frescoes. Connections with Mozart are everywhere, from the Glockenspiel clock on Mozartplatz to the composer’s birthplace and his family home (entrances payable locally). Today we’ll journey into the Bavarian Alps to Oberammergau. Relax, maybe sit down for a bite to eat or visit the village museum, which chronicles the development of the Passion Play since its first performance in 1634. In the early afternoon, you’ll take your seat as the story of Christ’s Passion unfolds on the vast open-air stage. The unfolding drama, of scenes from the Old and New Testaments, takes place over five hours and two acts. Over 1500 villagers are involved in the production, acting, singing or playing in the orchestra, and the production values are astounding. The acoustics of the auditorium are so carefully engineered that music and dialogue carry to even the furthest seats, despite the fact that no microphones are used. After the first act there will be an early evening interval during which you’ll have time to stretch your legs and enjoy an included dinner at a local restaurant, and at the end of the performance, and after a unique and unforgettable day, you’ll head to a local guesthouse allocated by the Passion Play organisers. The second leg of your holiday begins today as we head south, and cross the Brenner Pass into Italy. Along the way we’ll stop in Innsbruck. See the famous copper-tiled ‘Golden Roof’ built for Emperor Maximillian I at the start of the 16th Century, stroll along elegant Maria-Theresien-Strasse or simply indulge in a little people-watching over coffee and cake, before we continue into the Dolomites for a stop in one of the delightful villages that nestle in the high mountain passes. We’ll arrive at Lake Garda in the late afternoon, and you’ll have time to check in to your hotel and relax before dinner. Stroll by the lake then watch the world go by from a cafe over a long lunch, discover your resort’s shops and boutiques or simply relax in the comfort of your hotel. Today’s coach tour is the perfect way to take in the exceptional scenery that surrounds the lake. Visit some of the charming lakeside resorts and discover the distinctive character of each section of the shoreline – from the mountains of the northern shore to the citrus and olive groves of the west and the fjord-like east. Iconic Venice, a mysterious labyrinth of waterways and alleyways, is one of the world’s most beautiful cities. Join our fascinating optional excursion to discover legendary places like the Bridge of Sighs, the Rialto Bridge and the Doge’s Palace, famous St Mark’s Square with its basilica and bell tower, and the Palace of Prisons. Discover “fair Verona” on the banks of the Adige, now the eternal home of one of the literary world’s most tragic love stories. In this captivating city you’ll visit the Roman amphitheatre (venue for Verona’s famous annual opera season), and have time to explore or to relax in a cafe on Piazza Bra, in the shadow of 2000 years of splendid architecture.